We are Vancouver SEO specialists in Local Marketing. We will improve your rankings by combining effective SEO strategies including social media marketing, local business listing, and other important ranking factors. We use powerful search engine optimization (SEO) strategies and 100% manual submission process to increase the website ranking and traffic. We combines effective SEO tools such as rich content writing, social media marketing, news releases, website submissions and more to enhance the visibility and traffic of client’s website very quickly. We also offer a wide range of SEO packages to meet the expectation and budget of our clients. Increasing your website’s visibility and traffic is becoming difficult with Google’s algorithm updates. Besides, your competitors are using effective SEO strategies to stay ahead of the competition. We believe it is important to get assistance from an expert SEO firm to increase the website ranking effectively. We combine successful search engine optimization tools and strategies to increase your website ranking and traffic. We offer a wide range of SEO packages to satisfy the expectation of our clients. 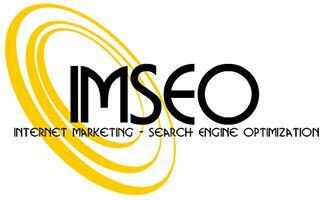 Each SEO package is designed to enhance the website ranking effectively. Our effective SEO tools including 100% manual submission, social bookmarking, press releases, directory submission, hub pages, squidoo lens and more can increase your website’s visibility quickly.